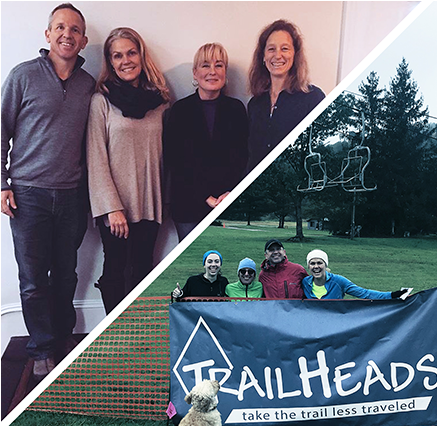 Established in 2002 by Ed and Stephanie Raftery and based in Kent, CT, TrailHeads is dedicated to designing innovative headbands, gloves, hats and related accessories that deliver performance, comfort and exceptional quality. Whether your pursuit of outdoor fun and adventures takes you to the backyard or the backcountry, TrailHeads aspires to deliver products that exceed your expectations. 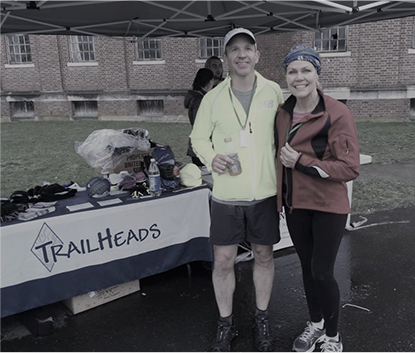 Not long after our founding, TrailHeads gained national recognition for the creation of our original ponytail hat; a beanie born from the realization that athletic women and girls needed a better headwear option for winter workouts. The first designs were crafted by runner and sometimes ponytail wearer, Stephanie, on the sewing machine that was semi-permanently set up on the family’s dining room table. After multiple rounds of prototypes, testing the size and location of the ponytail loop, adjusting the fit over the ears, it was time to take a risk on the idea. The initial production run of 500 units took place at a factory in Fall River, MA and were sold to a handful of specialty running stores in the northeast. Mark Charpentier, a close friend and former colleague of Ed’s from their time together at Cannondale, headed up the growing company’s sales efforts. When Mark wasn’t visiting retailers, he was recruiting additional sales reps, and selling directly to runners by setting up tables at races across Connecticut. A lot has changed since Mark was zig-zagging across New England to visit retailers while Stephanie was hand-making samples to give life to her designs. 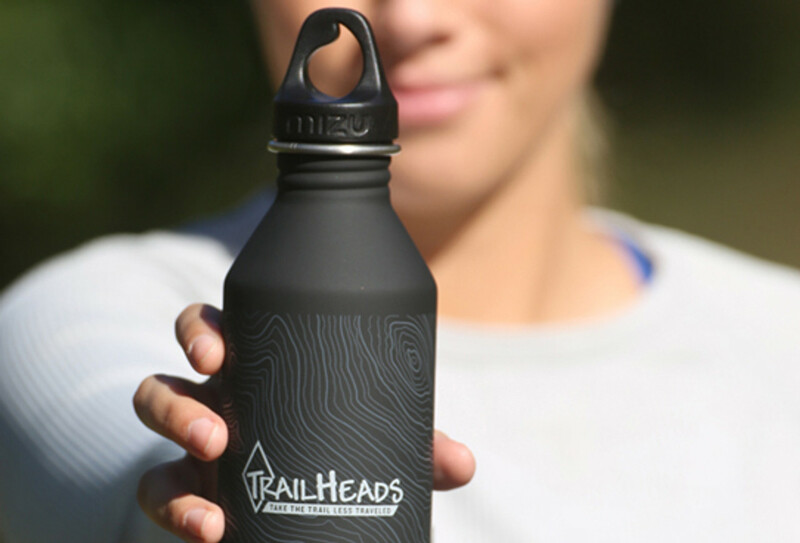 Today, TrailHeads offers the most extensive collection of ponytail compatible headwear available anywhere. Our greatly expanded product line includes gloves, mittens, neck warmers and helmet friendly headwear. And while at first we mainly sold to runners in a small corner of Connecticut, now we reach athletes and outdoor enthusiasts around the world. But some things never change. We have added production capabilities overseas, while continuing to work with the same factory in Fall River. 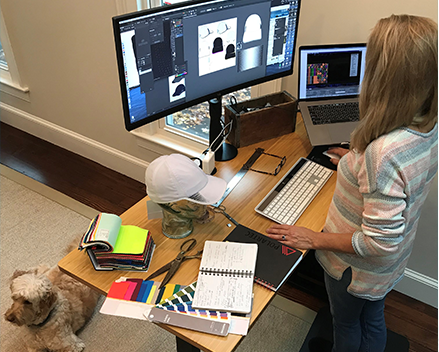 And Stephanie, though she’s moved from a seat at the dining room table to a standing desk in our remodeled 1800’s farm house turned office, continues to design every single one of our products. TrailHeads is committed to helping people overcome challenges of all kinds. We strive to make giving back an integral part of our culture, both through our own actions and through the support of select charitable organizations. TrailHeads’ co-founder Ed Raftery has lost most of his vision due to a degenerative retinal disease and is legally blind.His personal experience led Ed and Stephanie to begin working with Guiding Eyes for the Blind. 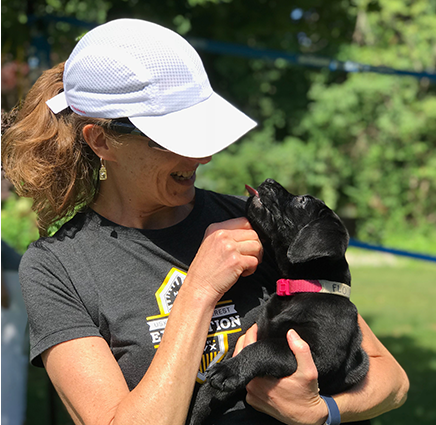 In addition to raising funds for the organization, TrailHeads’ employees actively participate in the puppy socialization program, the first step in the rigorous training program for future service dogs. In addition, TrailHeads partners with the Sandy Hook 5k and the Make A Wish Foundation both of which use events focused on exercise, endurance and community to advance their causes. 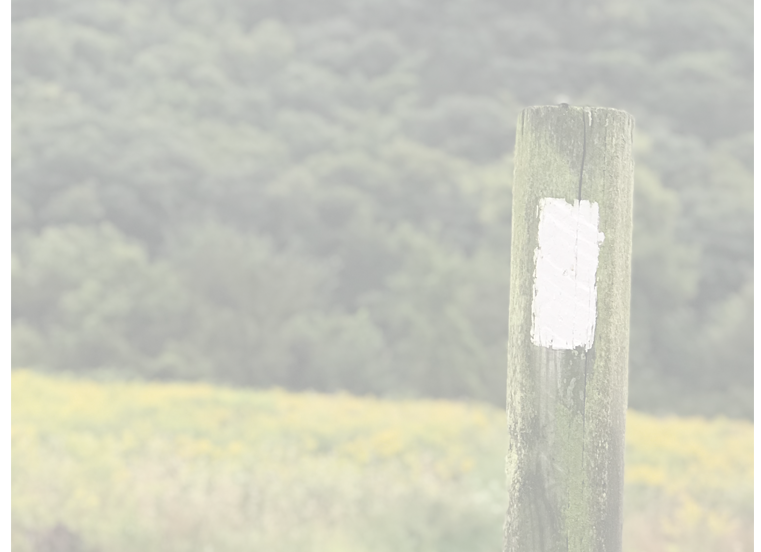 We’re a small, independent company that works tirelessly to blaze our own trail and we’re boot-strapping every step of it. Most days we have a team of six working out of our offices in Kent, CT. Having a team so small means no one has a single job title. From Stephanie, our designer and co founder, to Karen our operations manager and director of ecommerce, to Winnie our adventure dog and office stress relief officer; everyone at TrailHeads wears a lot of hats. Our responsibilities may vary from day to day, but our approach remains constant. Our team designs and tests everything we sell. 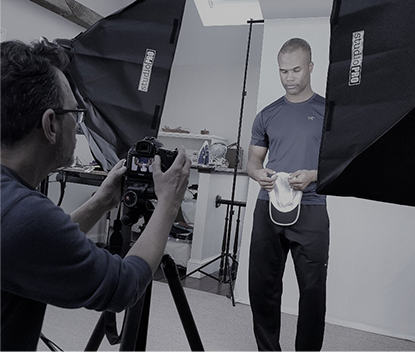 We’re obsessive about getting things right – style, fit, comfort, fabric, durability, stitching. And we have a keen understanding of our customers because we’re also out there running, hiking, biking, snowshoeing, skiing and walking our dogs. We back up everything we make with our Trail Tested Guarantee. 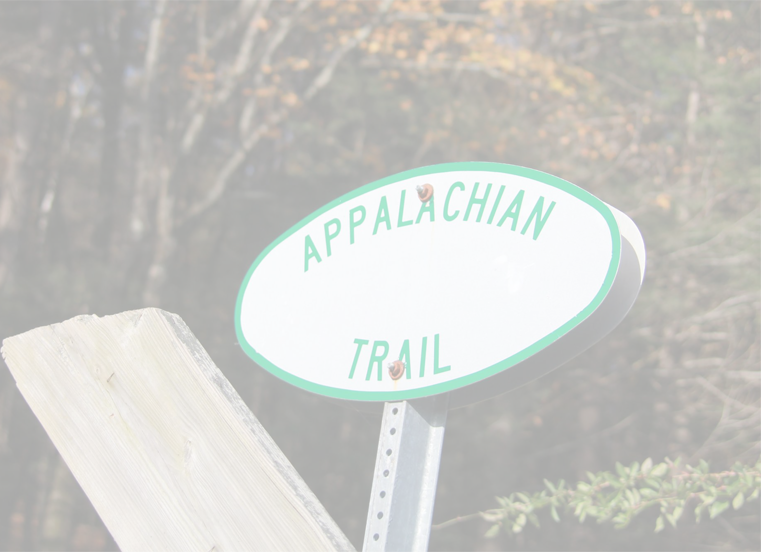 With the Appalachian Trail running right through our “backyard”, we know a product’s true test is on the trail. Whether we’ve taken it hiking on the AT, biking to work, or on a training run through the ever changing New England weather, our team has trail tested every single one of our products. Our confidence in our work means if you’re not happy with your purchase we’ll provide a replacement or a refund. No fine print. No time limit. Nothing but our commitment to do what it takes to satisfy our customers.